My last article concerning the Fashion Days Zurich is about upcoming Swiss designers. On Thursday morning, they had the opportunity to present their collections. Three of them caught my eye and I would like to present them to you. First of all, Aleksandra Wisniewska, who during her studies at Esmod Paris, completed an internship with Chloé and launched her own label in 2005. Today, she is based in Lausanne where she designs her elegant, feminine and extravagant collections. Her S/S 2011 collection is called „Architecture Une Histoire de Famille“. I especially liked the well tailored shoulder details and the silver fabric. Available for example online at styleserver.de or at Glam.in in Zurich. Redley Exantus was born in New York where she later studied at the famous Fashion Institut of Technology (FIT). She improved her skills while working two years for Calvin Klein. After having moved to Geneva, she founded her brand in 2006. Her creations are modern, combining the American way of dressing with European craftmanship. 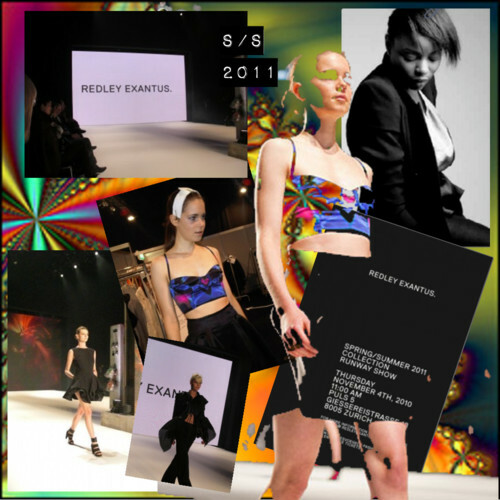 For S/S 2011, I liked her digital psychedlic prints even if they reminded me a little too much of Alexander McQueen. What I absolutely adored was the well-tailored black dress with the moving hemline and the kind of woven fabrics, first and foremost the black gala cape. My absolute favourite. The name has to be taken literally. New York based jewelry designer (Toujours Toi) Nina Egli, has teamed up with her mother Kaya to form Family Affairs. A transatlantic design partnership that stands for romantic, feminine fashion. For all women who adore bow-tie blouses and flowing materials. 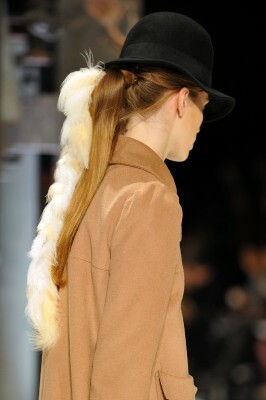 I fell in love with the headpieces and the feathers hanging down the hats. 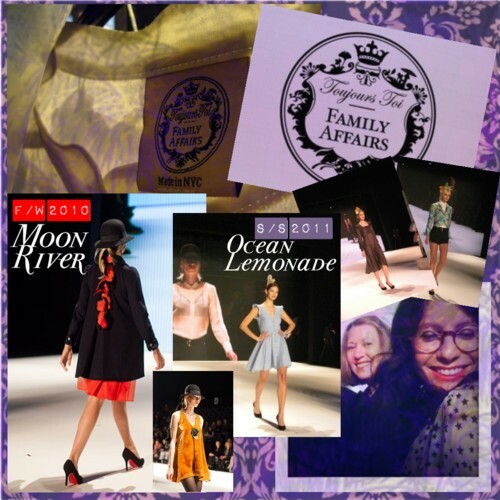 In Zurich, they divided the show in their F/W 2010 „Moon River“ and S/S 2011 „Ocean Lemonande“ collections. Available for example in Zurich at Dings. Switzerland has more more to offer than cheese and chocolat. Not only the best watches are made here, as you see, there are great talents around.